Buying a CD or downloading music to help an ANXIOUS dog might seem odd, but it's not as far fetched as you might think. 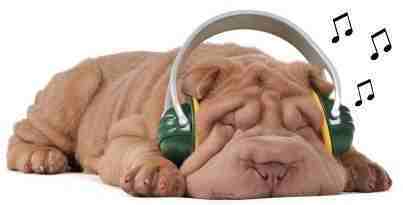 We know that humans respond to music and research is now showing that music has a similar effect on dogs. Not all music is the same, though and if you are looking for something to calm your anxious, hyper, or nervous canine, read on. It would seem that slow, classical music is the best way to reduce stress and eliminate the need to medicate your anxious dog. And there is research to back up the claim. In studies done in many countries, dogs who were in stressful situations such as shelters were noticeably soothed when exposed to music. But, music is only one way you can help your anxious dog. Our favorite small dogs might not ever have to endure the stress associated with shelters, but most must deal with more mundane stress such as thunderstorms, fireworks, relocation, even car trips and household visitors. All of these events that seem commonplace to us put additional stress on our dogs. I dread thunderstorms. Not because I'm afraid of them or the damage they can do, but because my little 8 pound Shih Tzu is terrified. It doesn't matter if the storm is miles away or right over head, Zoey starts to shake the minute the clouds roll in. In my neck of the woods, it rains a lot and summers are always prime time for bad storms. When dogs are frazzled they will react in predictable ways: barking, whining, pacing, drooling, spinning, tail chasing, destructive chewing, digging, and the list goes on and on. Owners have hunted for remedies for their dog’s anxiety whether it’s because of separation anxiety or other events such as thunderstorms phobia that cause distress. According to Dr Becker, there are at least 10 behaviors that dogs exhibit when they are feeling stress. These behaviors can show their ugly heads when there is a situation that causes immediate stress such as a thunderstorm, fireworks, visit to the vet or something else that the dog finds stressful, such as the owner leaving for work. Chronic stress occurs when a dog has been in a situation such as a shelter that puts a dog at risk for physiological problems. Chronic stress is hard on dogs as well as people. It hastens the aging process, contributes to depression and chronic anxiety and even increases the risk of disease by depressing the immune system. Whatever is causing the stress in you dog, the bottom line is that they are going to show some form of anxiety. This is called many things such as separation anxiety, thunderstorm phobia, or compulsive disorders. Calming music is one way to help an anxious dog relax. There are many others. In one study, Dr. Stanley Cohen reported on research done in Italy on Shelter Dogs that had been living in those conditions for 2 to 3 years. The results showed that a daily walk significantly helped reduce the stress in these dogs. So, simply taking a walk with your anxious dog may help reduce his stress level. Walking is a relatively free cure but if that does not work, there are many forms of medications and treatments on the market that might help. From tight fitting shirts, to pheromone releasing sprays and collars, to treats that contain chamomile, the market has responded to the problem with almost too many choices. 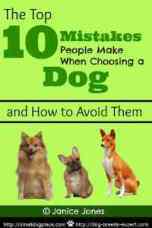 The real problem is that there is not a perfect solution that fits every dog. Some cures work better than others and what works for one dog may not work for another. The theory behind the Thundershirt is that it applies gentle but constant pressure on the dog to relieve stress and calms the dog while reducing fear. This is meant to relieve anxiety and create a sense of calm. It is used mainly in specific situations that require immediate attention such as thunderstorms. This comes in different sizes and can be trimmed to too large. One collar lasts for about 30 days and helps reduce stress and calm an anxious dog. 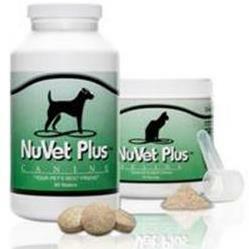 This product comes with the diffuser and one refill and is intended to calm stressed dogs and improve behavior. More refills can be purchased separately. Developed by Linda Tellington Jones, is a method of message that uses random circular movements over the dog's body. this type of massage has been used on other types of animals and is intended to change behavior, enhance health performance and well-being. There are many books now written on the subject, but the one I would recommend looking at is Getting in TTouch with Your Dog: A Gentle Approach to Influencing Behavior, Health, and Performance which is written by Linda Tellington Jones. Aromatherapy can be very effective on dogs. A diffuser and some essential oils are the only tools necessary to get started. Your dog's anxiety level will go down, and so will yours. Essential oils have been around for millennia and are produced from flowers, roots, stems and leaves. Many herbs have been used and made into teas for calming dogs. Lavender is likely the best know and can calm as well as be used as a sedative. Make lavender tea and use a small portion to mix in your dog's food. You can also add lavender essential oil to a diffuser and place where your dog normally stays. You can even apply a couple of drops behind your dog's ears. If you prefer not to put it directly on the dog, you can add a couple of drops to a cotton ball and place in the room where your dog is likely to be. Valerian: Calms nerves; helps with noise and separation anxiety. Make a cup of valerian tea and share a bit with your dog. You can also purchase it in capsule or tablet form. Camomile Tea: Camomile tea can be helpful for calming and to help the dog relax and feel sleepy. You make a cup for yourself and leave about 1/4 cup to be poured over your dog's food. Other people have often left the radio or TV on for their pets when they left claiming that the excess noise keeps the dog calmer and helps with separation anxiety. But did you know that music may work just as well to call that little girl or boy of yours? Not just any type of music, however, it has to be classical. Classical music seems to have the most effect on calming both the canine members of the household, as well as their human counterparts. Listening to music reduces agitation, improves the mood and lowers levels of stress. While all classical music is superior to heavy metal or pop, certain types seem to have the best results. Several interesting findings came from the research on canine calming. Classical music that had slower tempos such as with 50 to 60 beats per minute is more calming than a faster piece of music. Did you know that dogs have the same brain-wave patterns as humans? Heart rates vary according to the size of the dog with larger dogs having slower heart rates. So, by taking the average size dogs, the tempo of 5 to 60 beats per minute seemed to calm up to 70% of dogs in used in the research projects. Not only did the slow classical music relax the dogs, their heartbeats, blood pressure, brain waves and respiration rate decreased, as well. Solo piano music seems to have a calming effect on dogs. Less complex arrangements worked better on anxious dogs to calm them down. Other research has shown that lower octave sounds relax dogs more than music with higher notes. This is really good news for the average pet owner who wants to meet not only the physical but the emotional needs of their little one. I am no scientist, but I have dogs and when you get a lot of dogs together, you get barking. I’ve tried several CDs and am convinced that this stuff is real. I always loved classical music and play if for the dogs occasionally even when it is not raining. As you might expect, the slower, calmer music had an effect on them. The trouble is that most of the CDS available have both calming and stimulating music back to back. Then I found the music specifically arranged for calming dogs. Yes, my 16 dogs still bark, but the frequency and duration of their barks are much reduced when I play the music specially arranged for their ears. As I wrote this article over several days, I played a variety of different types of music, including some of the CDs that are mentioned below. It was amazing how well the dogs seemed to settle and nap. There was only one problem; can you guess what it was? I got very relaxed too. Relaxation: Not such a bad thing at all!! If you want to give it a try, the following CD/Music downloads are all available through Amazon.When you purchase anything from Amazon directly from this website, I get a small commission that helps keep this site up and running. This the first in a series of CDs by Joshua Leeds and Lisa Spector. With 9 arrangements, this should keep your dog(s) calm for a long time. It received a Five Star rating by Amazon and is my personal favorite as well. Click on the image to purchase this CD. This book is available on Amazon. Click on the image to go to Amazon. By Bradley Joseph, this is one in a series of CDs especially done for the canine ear. You can listen to samples of this beautiful piano music at Amazon before you buy. If your dog is move of a TV watch, check out this DVD For Dogs:While You Are Gone . It includes soothing sounds accompanying images of woods and small forest creatures. It also claims to have sonic sounds only dogs can hear. That last part I cannot attest to, but my dogs seem very interested in the video.